Catch up on her story here: Part 1, Part 2, Part 3, Part 4, Part 5. Below are some photos from a couple of early rides. 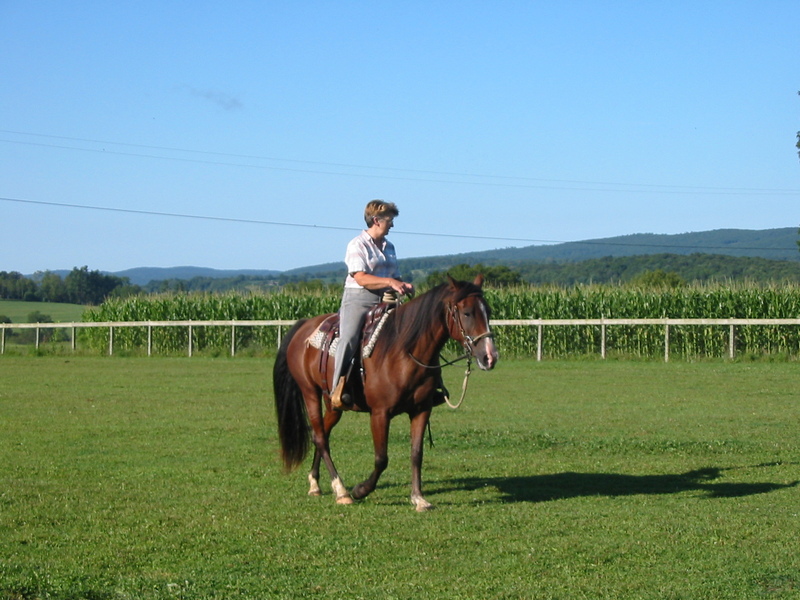 We were riding in the main pasture and the first time we rode out there we went out afterwards alone on the loop to the bottom of the hill and back and she did well. She is very curious and brave in a reserved sort of way. She will move laterally very fast when she is not sure but keeps her feet under her so it’s not so hard to stay with her. 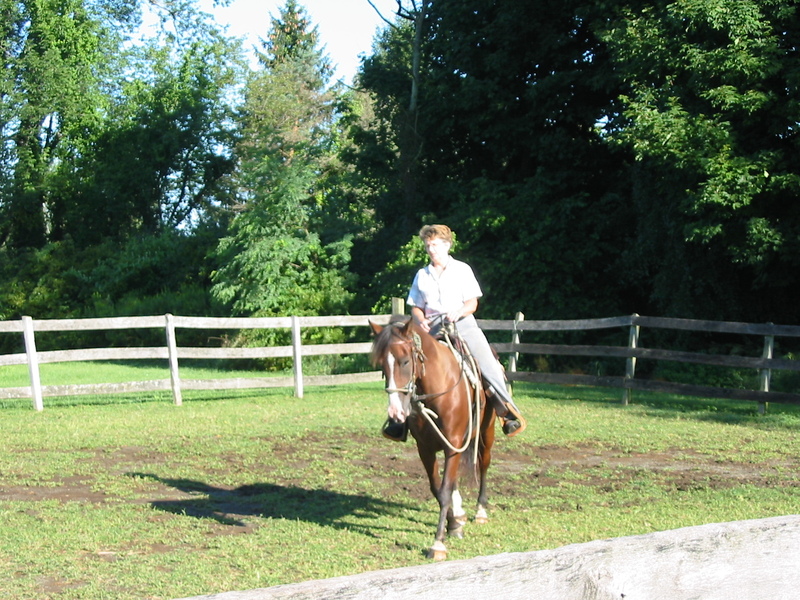 The second time we rode outside she walked and trotted in the pasture and on the trail. 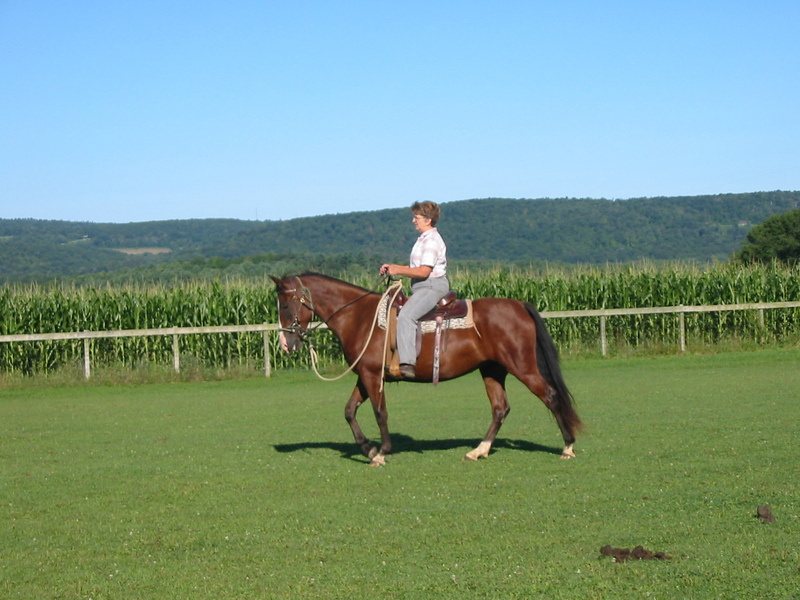 A friend went out with us with her new horse Milo. Rima led, went behind and went alongside. I am very pleased with her progress. It looks like I will have a mount for drill team this fall! Thanks to Dmitri for taking the photos!